Is THIS What Keeps Conservatives Out of Academia? It’s not a conspiracy. It’s not even a hiring bias. According to experts like Neil Gross, the reason we don’t have more conservative professors in the liberal arts is mainly self-selection. And in the goofy higher-ed headlines this week we see gossipy confirmation. Could conservatives make it in this environment? As SAGLRROILYBYGTH are well aware, there really is a tilt to most liberal-arts college faculties, at least at the more selective schools. Neil Gross argued, however, that conservative conspiracy theories don’t hold water. It’s not that universities consciously—or even unconsciously—discriminate against conservative intellectuals. Rather, people who think of themselves as conservatives tend not to go into certain academic fields. One of the most striking parts of a depressingly ugly higher-ed news item this week is the way it seems to offer anecdotal confirmation of this trend. Here’s what happened: A former graduate student is suing New York University for harassment and abuse during his time there. He had studied with the prominent scholar Avital Ronell. He complains that she wrote him endless creepy emails, kept him from leaving town, and generally over-controlled his life. Our communications — which Reitman now claims constituted sexual harassment — were between two adults, a gay man and a queer woman, who share an Israeli heritage, as well as a penchant for florid and campy communications arising from our common academic backgrounds and sensibilities. I am a bit weepy and confused, a normal aftermath I suppose, and also a response to the separation from you … But I will try to gain some ground with a visit to shrinky-winky and see if I can’t develop another kind of report for you! … So many kisses for my guardian angel. Regardless of the legal outcome of this harassment suit, this sort of “florid and campy” style of endless email back-and-forth would be very difficult for most people to keep up with. Why did the student endure these sort of over-the-top emotional expectations? According to all concerned, Professor Ronell was a superstar in her field. She had—and repeatedly reminded her student she had—the power to make or break his career. And to my eye, that’s where we find the culture-war rub. Very few people of any sort of ideological background would be willing or able to maintain this sort of intense, intimate relationship with a professor. If I were a conservative intellectual with academic ambitions, though (and I’m not), I think I would be discouraged from even applying to the NYU program, especially if I thought Prof. Ronell would not see me as sharing her “florid and campy” cultural style. In this one elite grad program, then, we can see how fewer conservatives might end up applying to a top program and fewer therefore might end up in top tenure-track academic jobs. Is this case the norm? Not at all. Indeed, it has only attracted so much morbid curiosity because it is an outlier. But it IS the norm for elite graduate programs in the humanities to serve as the only gatekeepers to top academic careers. And if this sad story can tell us anything, it is that only a very specific sort of person could possibly survive, much less flourish, in some of the those graduate programs. If what went on with Ronell were commonplace, that might keep a lot of liberals out of academia. So the explanation is that there are so many creepy liberals in academia that no conservative in his right mind would want to go there? I wonder if something like that would be considered a satisfactory explanation of the dearth of women in STEM fields. …more like the notion that there’s a “vibe” in many departments that is not comfortable to people who hold backgrounds that tend to go along with conservative cultural ideas. On facebook, a colleague shared an experience going to talk with a potential grad advisor at a prestigious school. As a conservative, she did not think she wanted to study what he was interested in, and she did not feel a personal connection to him. So she didn’t go into that field. But what that amounts to is that there is a strong liberal vibe and that repels conservatives. And from that we conclude that conservatives are being excluded from academia by choice. But doesn’t that just beg the question? Why is the liberal vibe in these departments so strong as to be repellent to conservatives? If there were such a strong conservative vibe in most departments that liberals felt repelled from academia, would that be considered an acceptable state of affairs? I get your point. I think certain academic have been populated so completely by progressive types that they really have become enclaves. I guess the takeaway for me is that these enclaves procreate in complicated ways. 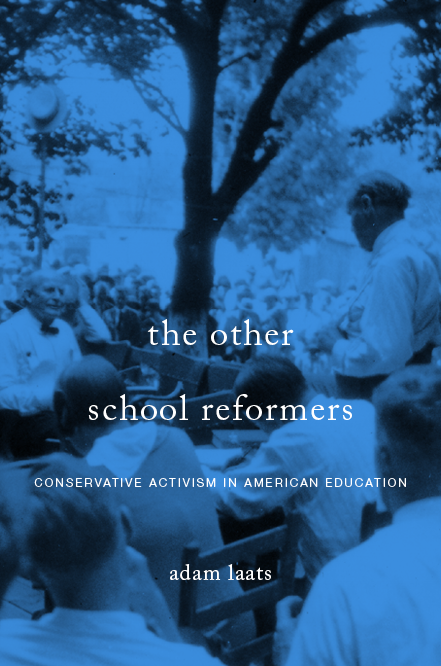 It’s not just that a hiring committee in that department would consciously refuse to hire a scholar in their field who identified as “conservative.” Rather, it’s that the entire field skews in such a way that there are no scholars interested in the subject who identify as conservatives.